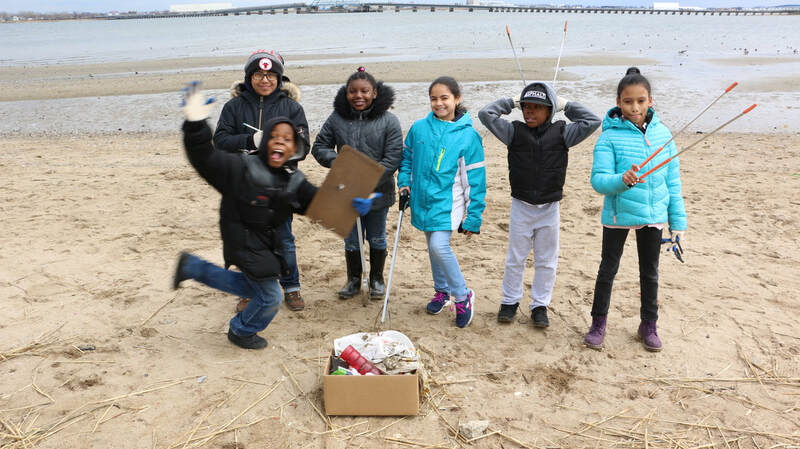 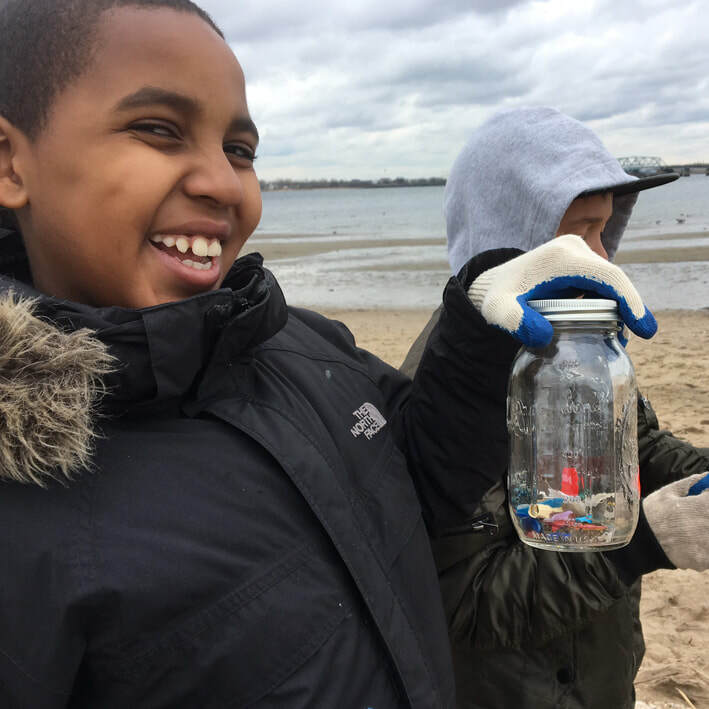 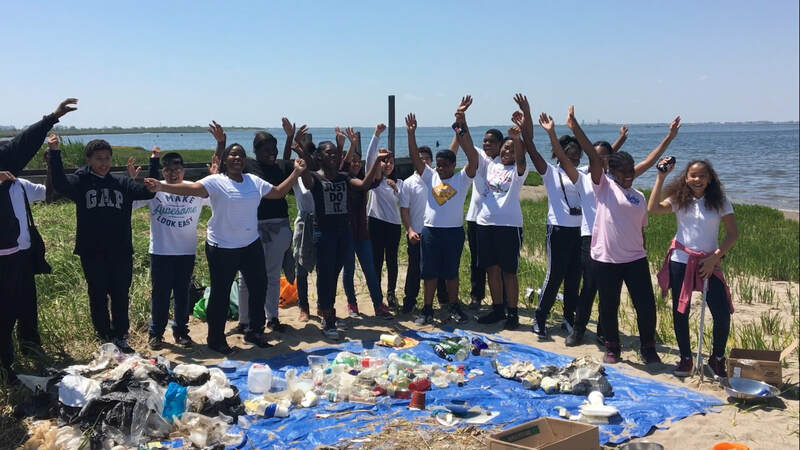 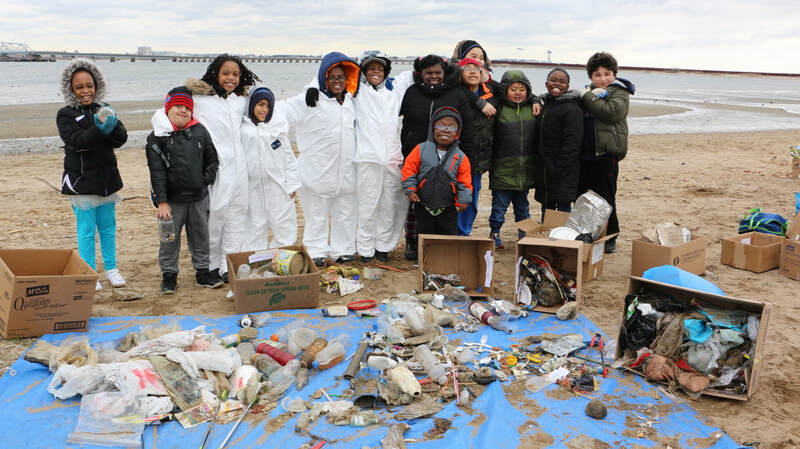 PS 15 students from 5th grade at Jamaica Bay surveying plastic litter. 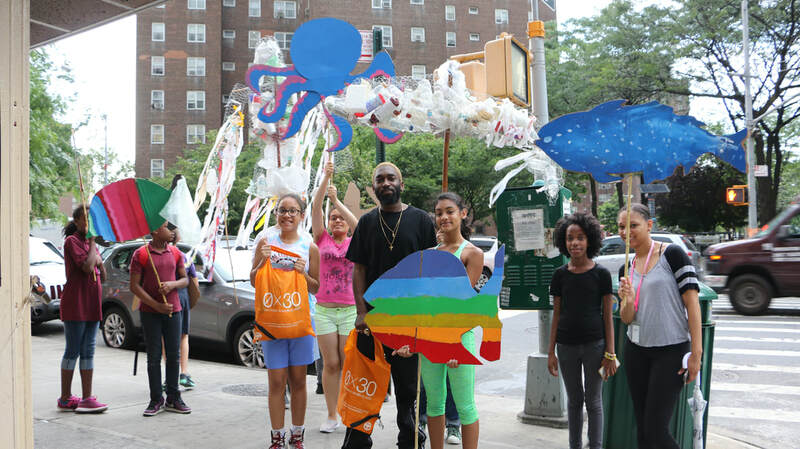 COMMUNITY ARTS+MEDIA for TRASH FREE WATERS (CAM 4 TFW) was a school-community partnership and demonstration project led in three low-income, urban communities of Red Hook (PS 15 Patrick F. Daly) and East Flatbush (MS 246 Walt Whitman) in Brooklyn, and Manhattan's Alphabet City (PS 34 Franklin D. Roosevelt). 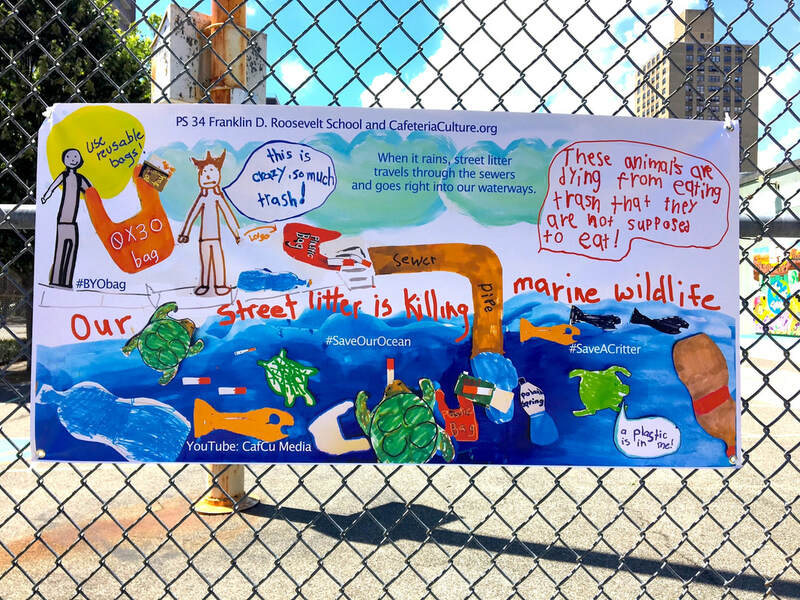 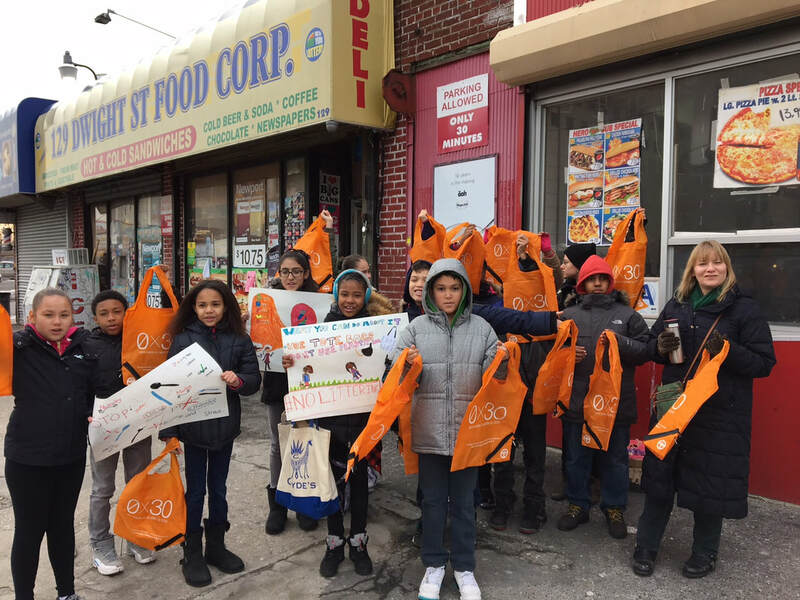 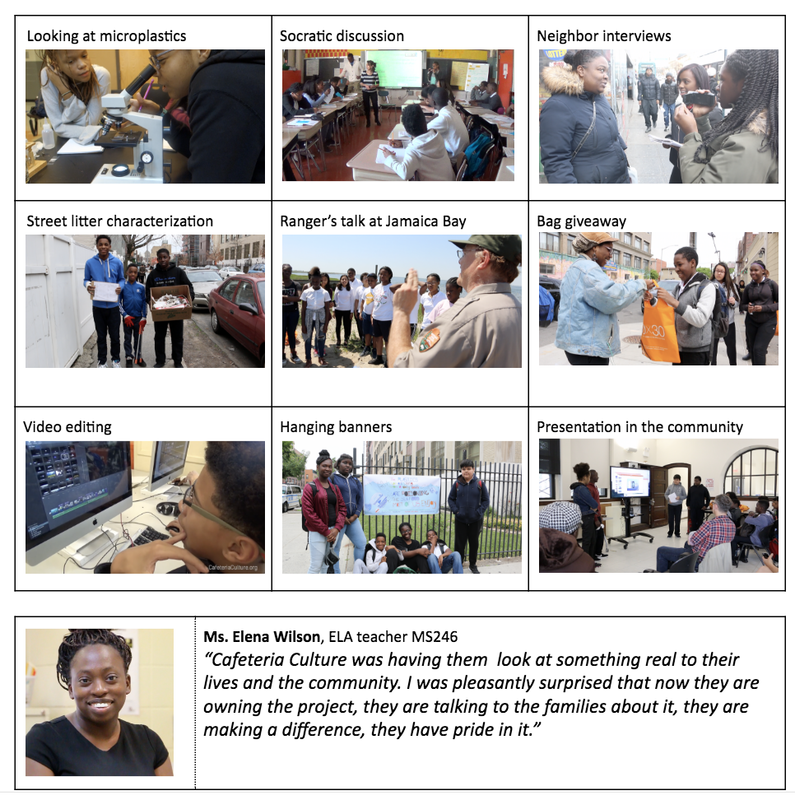 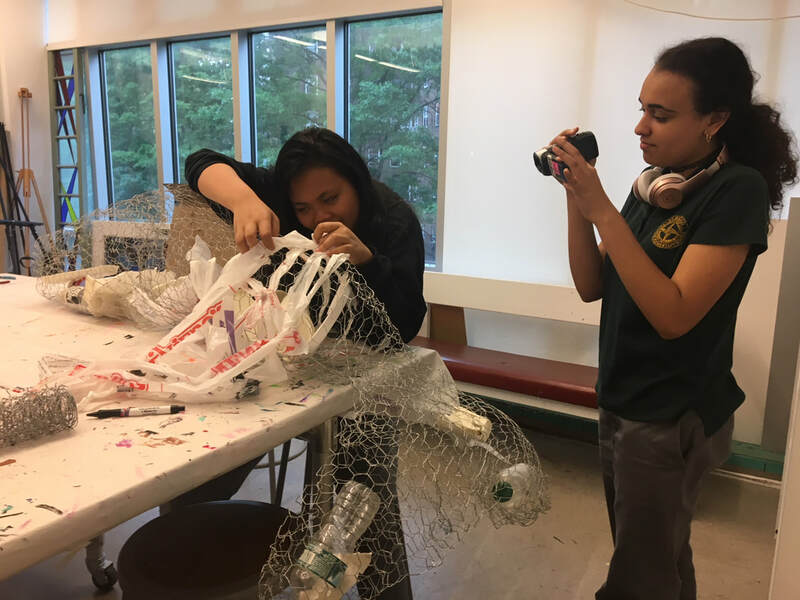 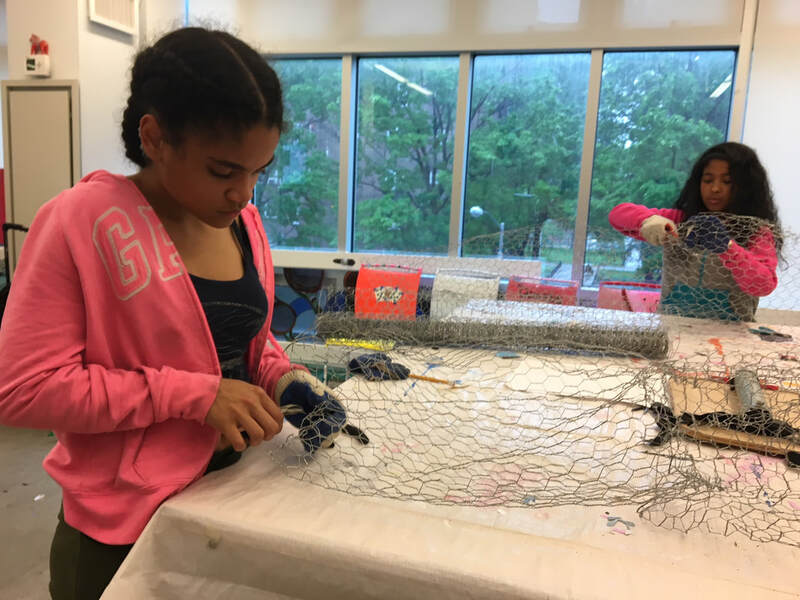 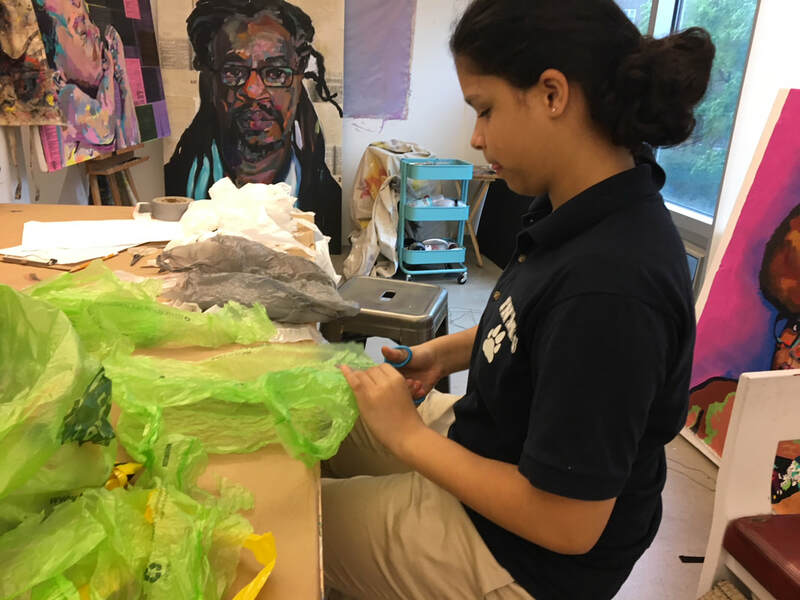 ​The primary project goal was to reduce plastic street litter through youth-led, citizen science, community-outreach, and engagement campaigns that focus on the negative environmental and health impacts of plastic marine pollution that originates as street litter. 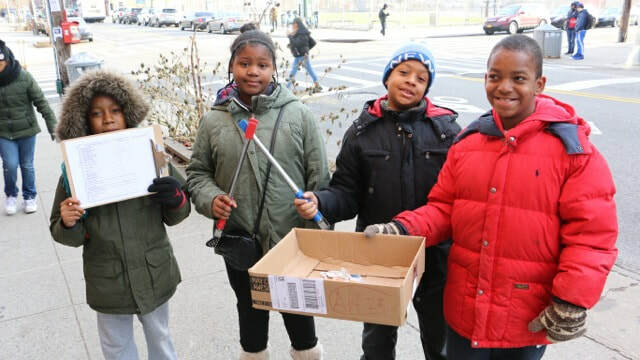 Each partner school functioned as a project hub, where students took on leadership roles in their own community to conduct litter characterization studies and clean-ups, pilot reusable bag giveaways with local businesses, and designed creative messaging including, giant puppets, short videos, banners and social media campaigns. 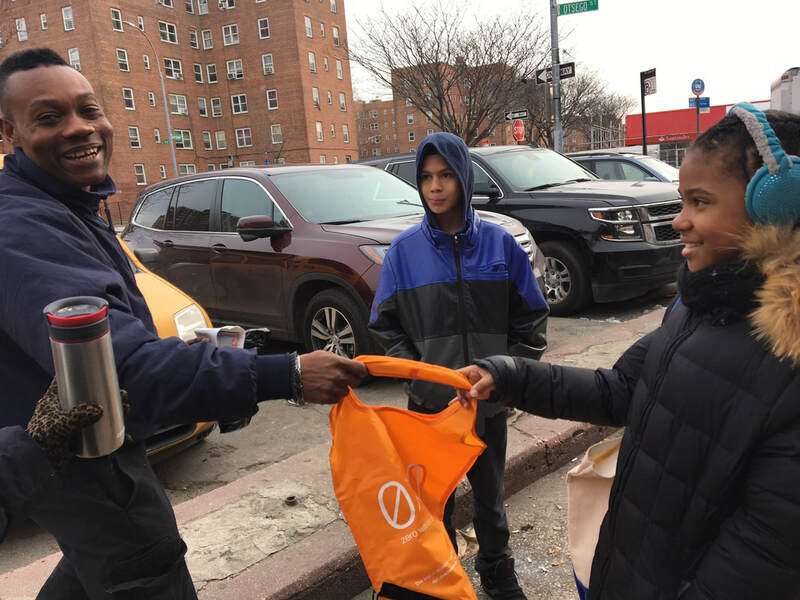 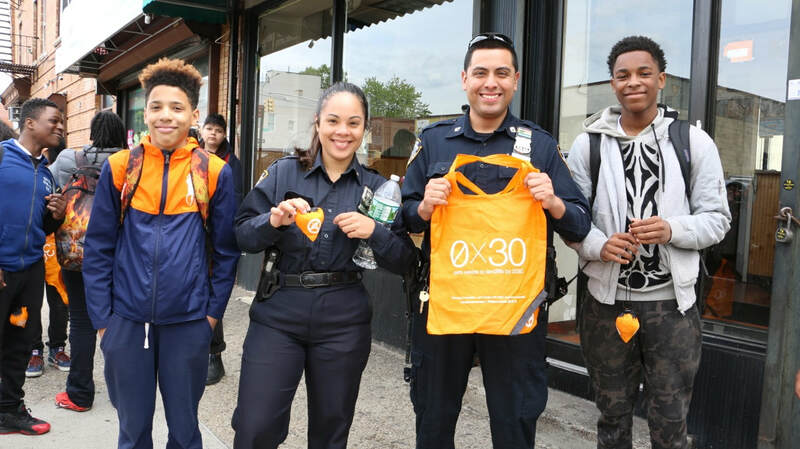 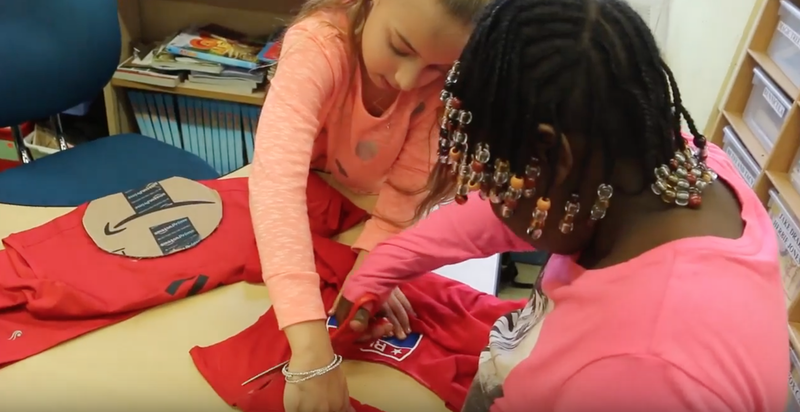 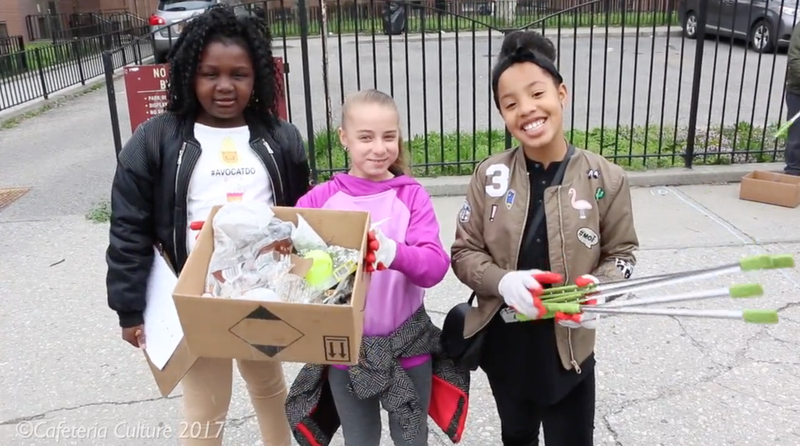 The project videos are promoted one CafCu’s YouTube channel, hoping to inspire other low-income, public housing, and immigrant communities to replicate similar initiatives to reduce plastic street litter upstream. 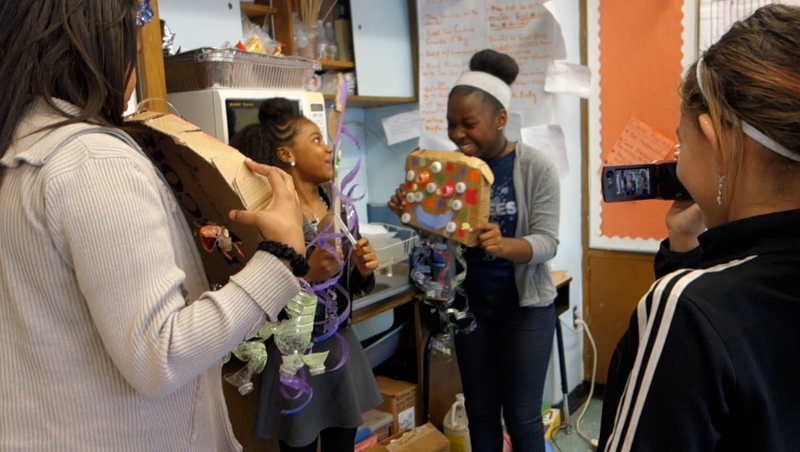 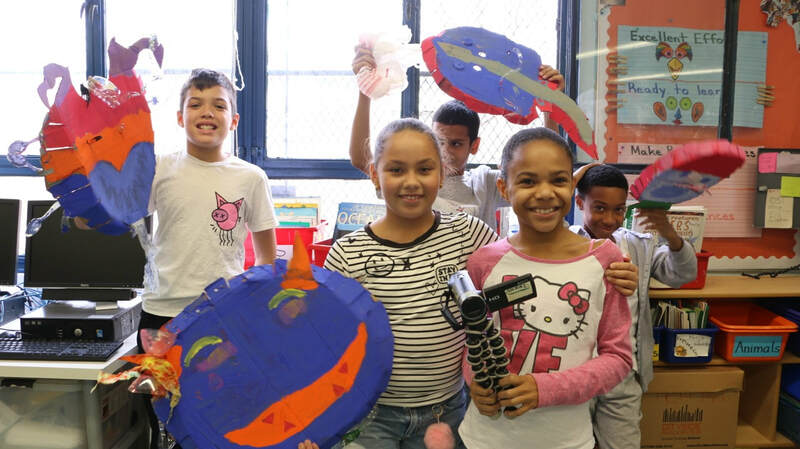 Cafeteria Culture’s Community Arts+Media for Trash Free Waters program was made possible by a generous New York/New Jersey Aquatic Trash Prevention Program 2016 grant - awarded by the US Environmental Protection Agency (EPA) Region 2 and New England Interstate Water Pollution Control Commission (NEIWPCC). 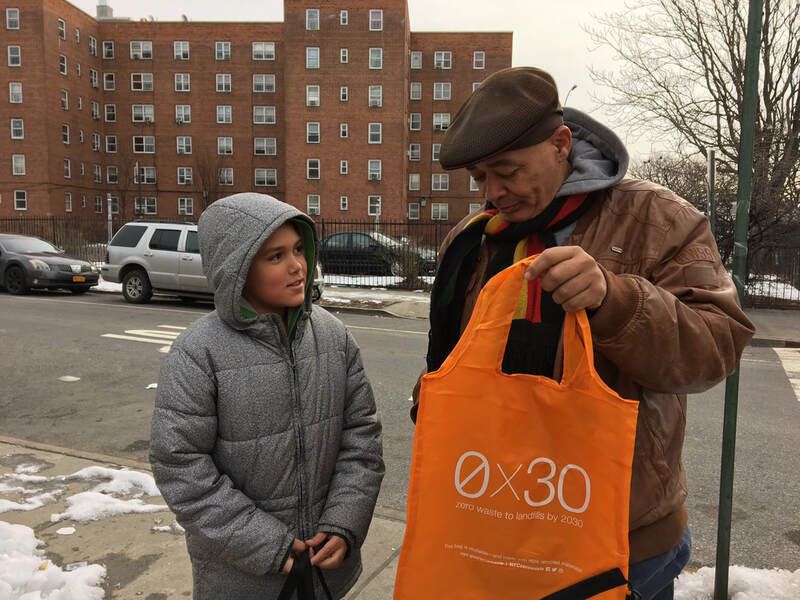 Additional support for this program came from Patagonia, Fund for the City of New York, and generous individual donors! 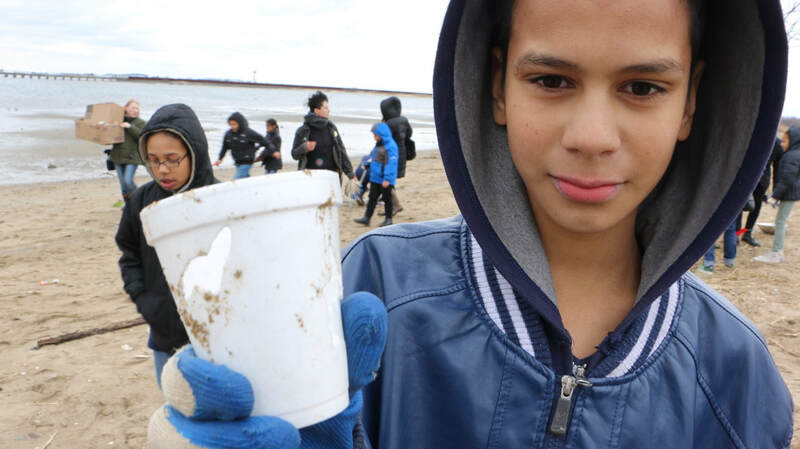 Ready to start a PLASTIC FREE WATERS program at your school? 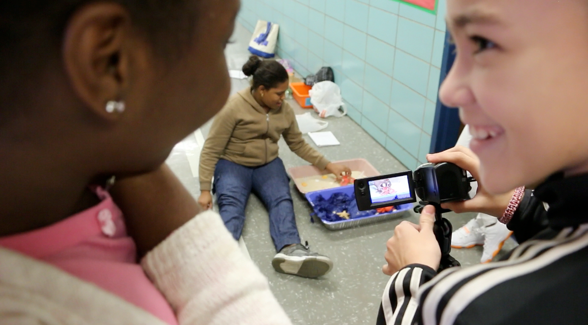 We will be sharing lesson plans and updates soon! 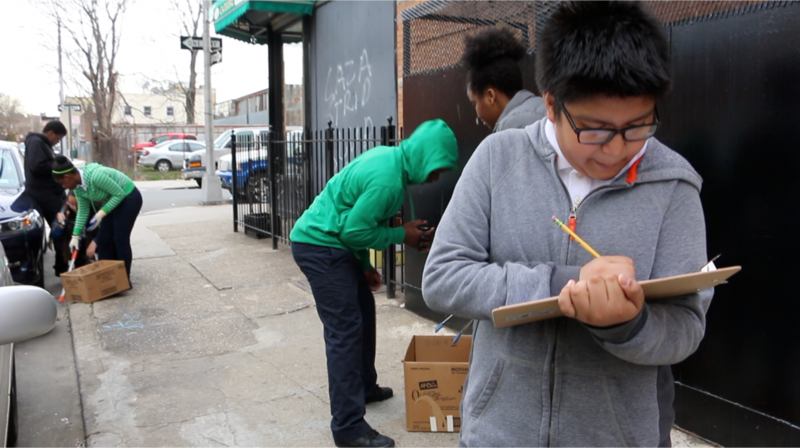 Sign up for our mailing list or contact us.